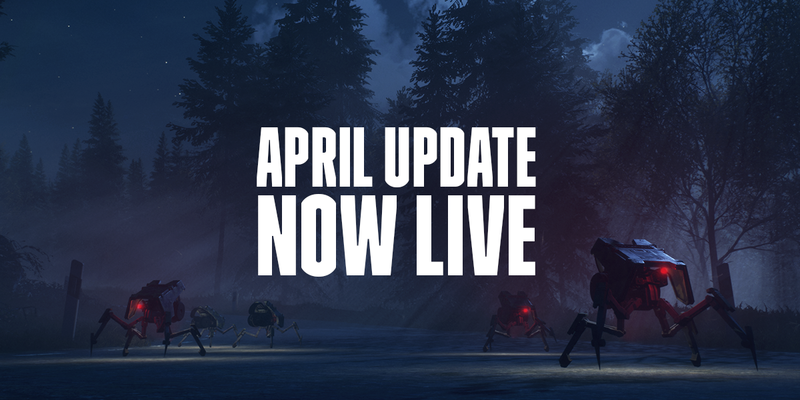 Many of the bug-fixes and changes in this update will affect the general game-play experience and we want to highlight a few of them in particular. Footstep sound levels have been adjusted to differentiate when a player is walking versus crouch-walking. Fixed multiple bugs that could occur when hosting a session after leaving a multiplayer session (issues with firing/loading/aiming, Camera clipping, blur effects sticking, teleportation issues, crashes). Machines possessing shock-wave attacks can now correctly knockdown/damage players inside buildings. Tank gas attack will now not damage players through walls and safe-houses. Destroyed machines will no longer re-spawn at 1 health when players leave and then return to the same area. Player is now able to correctly toggle vision mode when aiming at an enemy with Enemy Marking or Spotting Intel skill. Corrected issue where the game window was not maximized by default. Mouse cursor will now be correctly locked to the game on activating windowed mode. Mouse will no longer in some cases stick to the middle of the screen in Fullscreen mode. The loot interaction window will no-longer stick on-screen when rag-dolled away from the loot source. Console players should no-longer be blocked by invisible wall at bridge to Salthamn after streaming install has finished. Fixed issue that would sometimes prevent console users from being able to switch weapons. Fixed issue with environment details not showing correctly at Svadern bunker. Fixed crash where Generation Zero would exit to Xbox Home when accepting a game invitation while matchmaking.